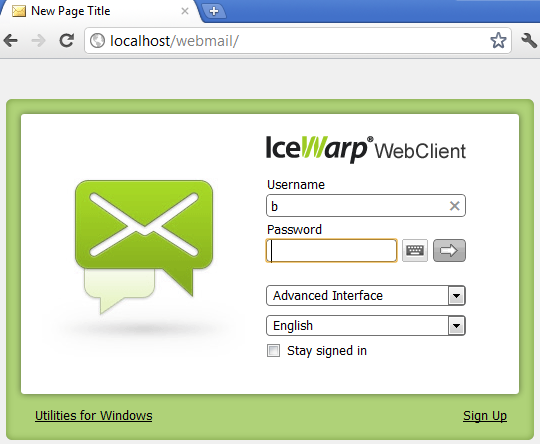 Simply rewrite text "IceWarp WebClient" with deserved text. When you will rewrite it with "New Page Title" click OK to save the change and refresh your login screen. 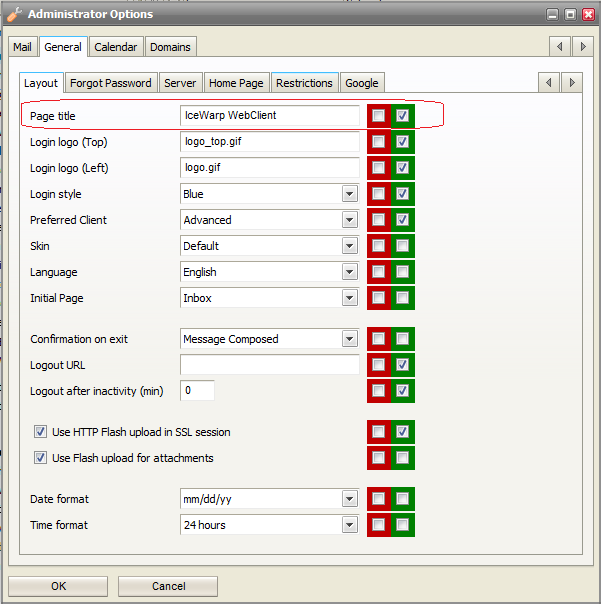 Page title will change to New Page Title. 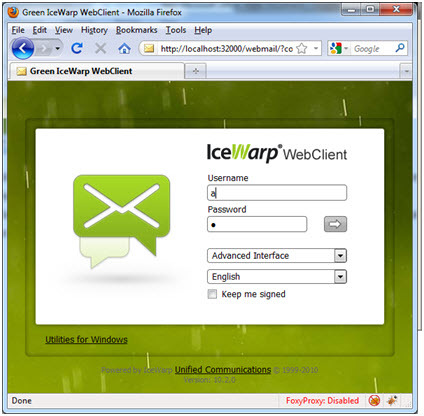 Top logo is the picture with Icewarp webClient text above input fields. Place your logo file (in this example toplogo.gif) into the folder ...\Icewarp\html\webmail\client\skins\default\login\images. (default logo size is 205x35px). It is just same as default logo just "W" is green. Now when you refresh your login page it will be displayed with new logo. Main logo is the blue envelope on the left side. Place your logo file (in this example greenlogo.gif) into the folder ...\Icewarp\html\webmail\client\skins\default\images. (default logo size is 203x203px). It is just same as default logo just the envelope is green. Now when you refresh your login page it will be displayed with new logo. 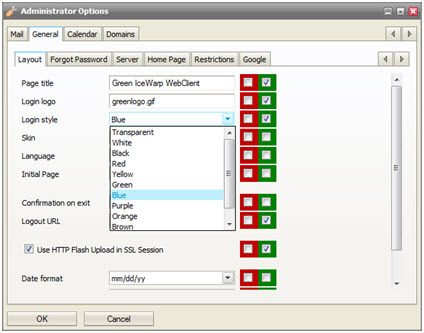 To change the login screen page background, simply replace the file outerlogo.jpg in IceWarp\html\webmail\client\skins\default\login\images\ with the desired one.